Acala 3GP Movies Free - Is a movie program for converting avi, divx, xvid, mpeg, vob, ect most of internet movies suit to mobile phone and turn mobile phone into a portable movies centre, it design for anyone who wants to enjoy the most pop movies from internet on mobile phone. AnvSoft iPod Photo Slideshow - Allow you to create entertaining MPEG-4 photo slideshows playable on iPod. HDX4 Movie Creator - Convert media files such as MPEG-1, MEPG-2, VCD, SVCD, Video-DVD, DVD+VR, DVD-VR, and MPEG4 into the HDX4 (MPEG4) format. Photo Movie Creator - An excellent Photo to video software which creates photos into video format such as AVI, MPEG, DIVX and XVID which can be played on computer. Photos to iPod Movie - A one-click wizard-styled software for converting personal photos and music files to a movie which can be supported by iPod. iPod Photo slideshow Maker - Allow you to archive your favorite digital photos into iPod mp4 files with background music and up to 170 transition effects. IphotoDVD - Allow you to archive digital photos into DVD/SVCD/VCD compatible MPEG files with hundreds of transition effects. 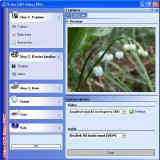 Photo2DVD Studio - Create digital photos slideshows for display on TV, and backup your slideshows to DVD. Video DVD Maker PRO 2.3.0.32 - A video capture software which enables you to capture video from a TV tuner, a web camera, a DV camcorder, or any other video device. Easy DVD Maker 3.2 - The most easily used DVD movie maker which can create DVD from VCD/SVCD/VOB/AVI/MPEG-1/MPEG-2/DivX (MPEG-4) files. MPEG4 Direct Maker 5.5.2 - Create divx/wmv/avi/mpg/vcd/svcd/dvd/mp4/3gp/mp3 video/audio clips from DVD, VCD, MPEG, AVI, WMV, ASF, MOV, QT, MP4, QuickTime, RM, RMVB, RealVideo. Pocket DVD Wizard 4.3.3 - Transfer DVD video to your Portable device, such as your Pocket PC, Palm, Portable Media Center, PSP or Windows CE device. DVDsanta 4.0 - An all-in-one DVD creating tool that helps you copy, convert and create DVD movies. It can convert video files (include DVD videos) into DVD format. FTDVD Author 4.0 - Create DVD from RM RMVB Asf Wmv Avi Divx Mpeg Vob file with advanced DVD menu creator. Movie DVD Maker 1.7.2 - A high speed and easy-to-use video DVD VCD SVCD maker which can make SVCD VCD DVD from AVI DivX XVid MP4 MPEG DAT ASF WMV MOV QT files. PSP Movie Creator 1.0 - An excellent PSP video converter which can convert DVD to PSP, and convert most comprehensive video formats to PSP, including DivX/XviD video, avi, wmv, mpg, mpeg, dat(VCD), rm, rmvb, Tivo2Go, dvr-ms, qt, mov(ver 2) and more. Wondershare Photo2VCD Studio - Easy to use DVD/SVCD/VCD authoring application. It can help you to easily burn your favorite digital photos into a DVD/SVCD/VCD compatiable slideshow on video CD.